A final vote won’t be taken until Thursday, but all indications are that a hotly contested government proposal for Norway to join a new EU energy union will win support from a large majority in Parliament. The political support that emerged this week, however, is at odds with public sentiment after a recent opinion poll indicated that less than 10 percent of Norwegians want to join. Norway’s Labour Party defied strong opposition within its own ranks as well this week, and backed membership in the EU’s energy union through its new Agency for the Cooperation of Energy Regulators (ACER). The issue was up for a vote by Norway’s parliamentary committee handling energy and environmental issues. The Greens Party (MDG) also backed the measure that’s due to come up for a full vote in Parliament on Thursday. Labour won a key concession, though, from the three government coalition parties (the Conservatives, Progress and Liberals). It demands state ownership and operation of all future electricity cables between Norway and other countries. Labour claims that will help Norway retain control of its vast sources of hydro-electric power. 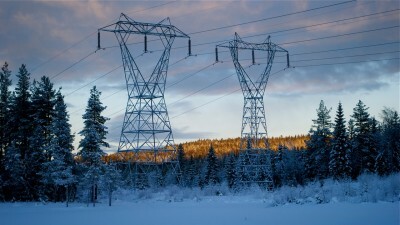 “The agreement that’s now been written ensures public ownership and that the real management (of Norway’s electrical resources) will remain in Norway,” claimed Espen Barth Eide, a Member of Parliament and former government minister for Labour. The EU’s energy union and ACER have split not only Labour but the opposition in Parliament as well. Labour’s leaders fear that refusing to join will jeopardize Norway’s entire trade deal with the EU (known as the EEA/EØS agreement), while the Greens signed on as a means of securing a European transition to more climate-friendly energy production. Opponents within Labour and its fellow opposition parties (Center, the Socialist Left and the Reds) fear joining the ACER will result in much more expensive electricity and hurt the competitiveness of Norwegian industry. They also fear that Norway’s sovereignty over one of its major natural resources, hydro-electric power, will be threatened. That’s why the concession and compromise hammered out in the Parliament’s energy and environment committee was so important, according to Eide. He and Støre claim it will address opponents’ fears and ensure that Norway does not lose regulatory control and pricing of its electricity. The general public clearly hasn’t bought their argument. A public opinion poll conducted by research firm Sentio for an unidentified “private person” indicated that only 8.9 percent of all Norwegian are in favour of becoming a member of the EU’s regulatory agency ACER. Another 52.3 percent answered that they did not want to join, while 38.9 percent were unsure, reports news bureau NTB. Opponents in Parliament have been demanding postponement of Thursday’s vote, not least after news this week that two of the three government parties in Iceland oppose joining. The Icelandic parties, including the country’s largest, favour using their veto right that’s included in the EEA/EØS agreement with the EU to which they’re a party along with Norway and Liechtenstein. An Icelandic veto could thus hinder the entire process. “It’s important for Norway to take time to evaluate the consequences of an Icelandic ‘no’ to ACER,” Audun Lysbakken, leader of Norway’s Socialist Left party (SV), told news bureau NTB. He intends to propose a postponement during Thursday’s debate in Parliament. It will be backed at least by the Center Party, which already proposed a delay last week. Center Party leader Trygve Slagsvold Vedum noted that Norway’s largest trade union confederation LO also opposes joining ACER, while his own party opposes joining on the grounds it will weaken Norwegian authority over its own energy resources. “It’s incredible that Labour is supporting the (conservative) government in this,” claimed another Center Party member, Ole Andre Myhrvold, who also fears that Norwegian electricity rates will rise. Newspaper Dagens Næringsliv (DN) reported Wednesday that the concession Labour negotiated with the government may also boost costs by forcing the state to develop and own its cables and even buy back the only one it currently does not own. That’s the North Connect cable running from Hardanger to Peterhead in Scotland, now under development by county-owned power companes and Vattenfall of Sweden.